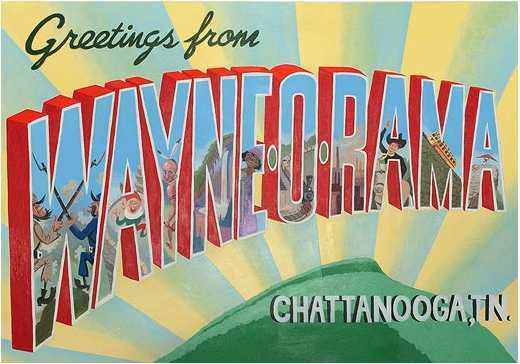 Wayne White, award-winning artist, is part of a year-long interactive art event, which focuses on his hometown, Chattanooga. 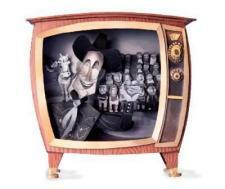 White is known for the designs and characters he created for "Pee-Wee&apos;s Playhouse." White has won three Daytime Emmys for art direction for the puppets he designed for Pee-Wee&apos;s Playhouse in the late 80&apos;s. White also earned an art direction Grammy for the music video "Tonight, Tonight" by the Smashing Pumpkins in 1996, and he won a Billboard award in Best Art Direction for Peter Gabriel&apos;s "Big Time" video in 1986. 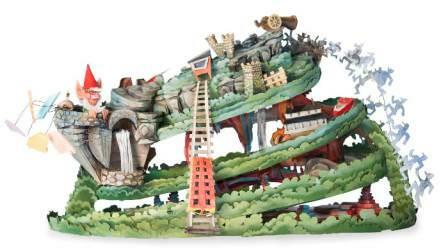 Wayne-O-Rama, a year-long interactive art installation, will feature giant puppets, live music, sculptures and classroom-like experiences for students, artists and teachers. Wayne-O-Rama will include a studio space located at 1800 Rossville Ave, in which White will visit occasssionally throughout the year. He will also be available to video chat with teachers, artists and students who are there workng. White has created four small models that will be turned into larger installations/puppets, some 20 feet tall. Students, artists and teachers will have a chance to work on creating these installations. 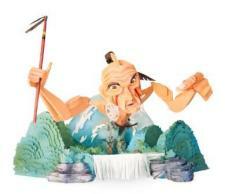 The four models depict Bessie Smith, Lookout Mountain, local kids TV star Bob Brandy and Chief Dragging Canoe, war chief of the Chickamauga Cherokee. In addition to these puppet sculptures, White is creating two 12-14&apos; marionettes depicting Confederate General Patrick Cleburne and Union General Tecumseh Sherman that will be a part of a parade during Glass Street Live in September 24, from 11am-4pm. There will be a street party, a giant puppet show and a parade led by musician Nick Lutsko from Glass Street to the newly reopened Sherman Reservation on Missionary Ridge. The quarter mile parade will highlight new access points for a trail constructed to connect Sherman Reservation to Glass Street. The Hunter Museum has an exhibit through October of some of White&apos;s works, including his "Word" paintings, wood and bronze sculptures, puppets and sketches.